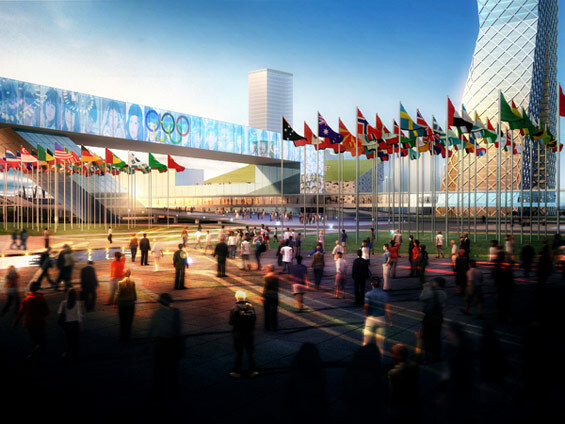 The 2nd World Youth Olympics Games will be held in Nanjing China in the year of 2014. It will attract the world’s best young athletes to compete against each other representing the future and life of the world’s competitive spirit. 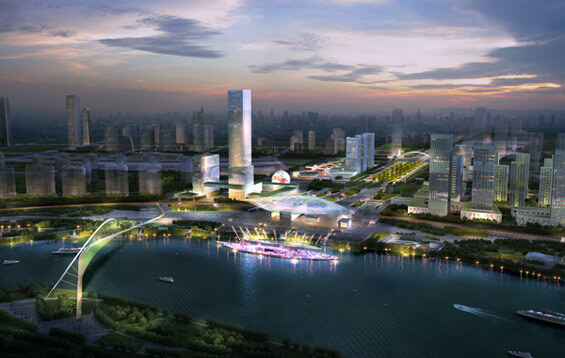 Located in the outer suburbs of Nanjing city in the district of Hexing, the new Olympic site will act as a catalyst for a new commercial center that will activate not only the district, but also the Yangtze Riverfront which the city of Nanjing has turned its back on throughout its history. 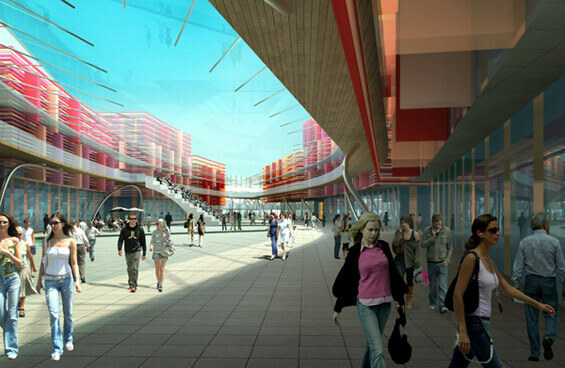 The site attempts to integrate new offices, commercial malls and shops, with future generations of residences and the Olympic Village that are all connected by the central Olympic Corridor that runs and bridges over the future dyke and highway; bridging the city to the water. 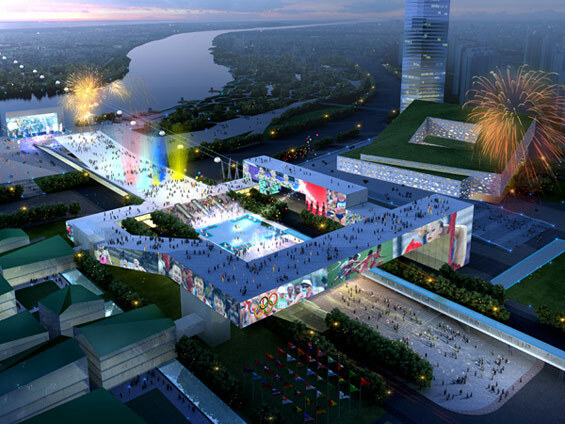 Using the theme and spirit of the games, the design of the entire project hinges on the “Veins of Life” that run and weave the entire site together. 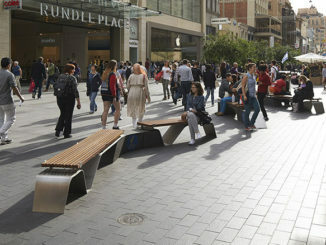 This motif runs through the central Olympic Access in the form of landscape paving and also a sinuous icon pedestrian bridge. 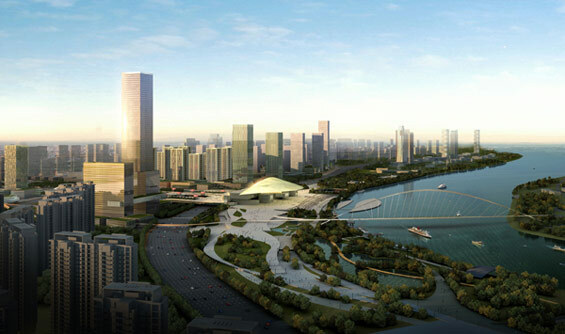 The bridge becomes an integral part of the corridor as it brings people from the future subway station, through the Olympic Access and new open air mall, and over the existing highway, dyke, and Yangtze River, towards the Jiangxin Island that resides in the middle of one of China’s major waterways. Winging both sides of the Olympic Corridor are the Youth Olympic Village and the Iconic Olympic Tower and Conference. 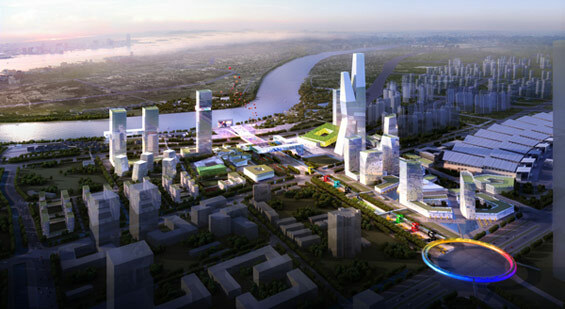 The Olympic Village will become a symbol of ecological and contemporary living even after the events are held and sold to future residences of the city. The new Olympic Tower will tower above the city as a beacon of hope and happiness. Placing 1st Prize within world renowned competitors in this urban design and landscape international competition, SPUA now acts as a key urban design consultant to the city of Nanjing and the Hexing District helping the district and city realize not only a key platform that will show off the city of Nanjing to the world in 2014, but also ensuring that the key urban design strategies and urban integrity will continue to be implemented so that the district can continue to prosper beyond the Youth Olympic Games, ensuring that we creating a city of new and sustainable beginnings and life.